If fingerprints are like snowflakes, then palm prints are like blizzards, positively packed with unique identifying information and almost impossible to miss. While fingerprints remain the gold standard of biometric data, the rise of palm prints in law enforcement, federal government, and financial institutions all point to a future of whole-hand scanning. Palm prints, once overlooked by agencies in favor of the perennial fingerprint, have taken center stage in recent criminal legislation. In states like Oklahoma, palm prints are now required for standard criminal submissions. This following nearly half of all states that actively encourage palm submission, and a federal trend of requiring more complete biometric profiles for arrestees and civilians alike. Photos are required with law enforcement applicant submissions in Texas, iris scanning is now being used to allow greater freedom and security for dementia patients in nursing homes, and the department of homeland security is expanding their biometric entry and exit system well beyond the old-school fingerprints we all know and love. The National Palm Print System, established by the FBI in 2013, makes palm prints searchable to law enforcement nationwide, and allows direct enrollment and deletion of palm prints and supplemental fingerprints, just like the current fingerprint enrollment system. Palm scanners can already be found in schools and hospitals, as well as across the financial sector, firmly securing their place in the future of biometrics. Palm prints, like fingerprints, are easy to take, anyone with live scan experience will find the process as familiar and intuitive as rolling prints. The main difference between a palm scanner and a ten-print scanner (a scanner designed for taking only fingerprints), is the size of the scanning surface. 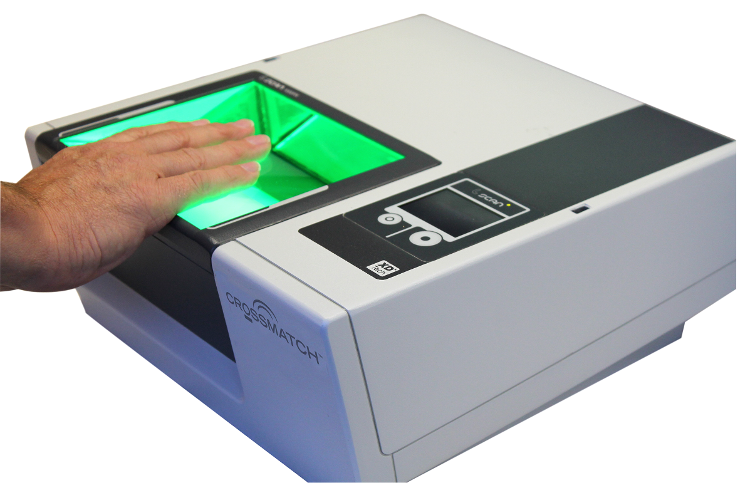 Palm scanners, while also able to roll fingerprints, tend to be larger to accommodate palms, but are still small and light enough to easily fit within standard live scan cabinets. Unlike fingerprints, which require special rolling techniques, palms are static images. All you need to do is follow the Mentalix palm scanning software to arrange the hand, apply light pressure, and wait for the double capture beep. There are tips and tricks to make the process quicker and easier, such as being certain the lower palm section is captured in its entirety, or that the writer’s palm is rolled slightly toward the body for a better shape, but palm scanning is easy to learn and palm scanners are as easy to use as a standard live scan. Most official identification methods are not concerned who we are, but what documents we carry. Things like social security numbers, birth certificates, and driver’s licenses form the backbone of governmental identity verification, and have been used the same way for generations. However as technology improves and our old paper documents stay the same, it’s becoming easier and easier for people to assume identities that aren’t theirs. Pairing palms with other biometric data like fingerprints, photographs, and retinal scans creates a comprehensive picture of identity that can’t be faked with a forged birth certificate or a string of randomly assigned social security numbers. 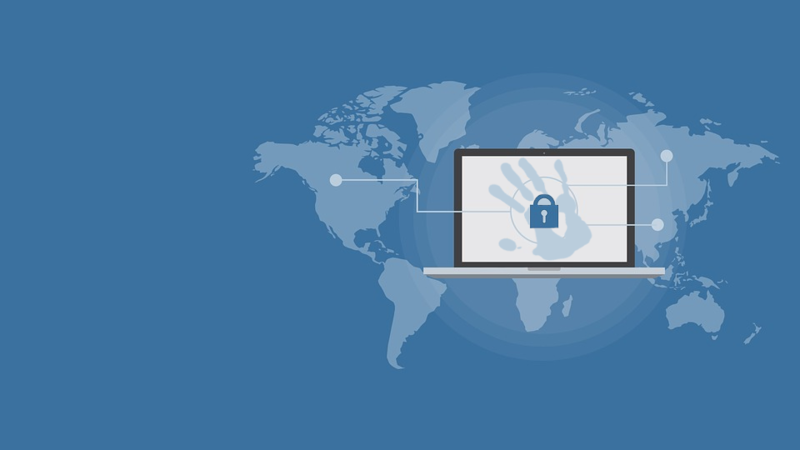 As we’re currently seeing in law enforcement, palms act as a two-factor authentication process to fingerprinting, further ensuring that someone who isn’t you, can’t claim to be. The more we see biometric technologies integrate with our current security infrastructure, the more imperative it will become to collect additional data that reinforces a new standard. Palms are unobtrusive, require technology identical to fingerprint scanners, and are a natural extension of current biometric identification systems. While the potential applications for palm scanners are endless, criminal justice is where they really shine. Of all the prints found at crime scenes, nearly 30% come from the palms, making palm prints some of the most readily available pieces of forensic evidence. Palms have considerably more surface area than comparatively tiny fingertips, so the likelihood of a culprit leaving behind a piece of their palm, and of investigators being able to find it intact, is even higher. Palm prints are particularly vital in crimes involving forgery and counterfeiting, as the side of the palm, fittingly dubbed “the writer’s palm,” is pressed down onto paper whenever a document must be signed. The FBI’s rapidly expanding National Palm Print System has already proven to be a vital resource for local, state, and federal law enforcement agencies across the country, allowing latent palms, many of which were previously unusable, to be checked against a growing archive. As more agencies contribute, more prints can find matches, and more justice can be served. 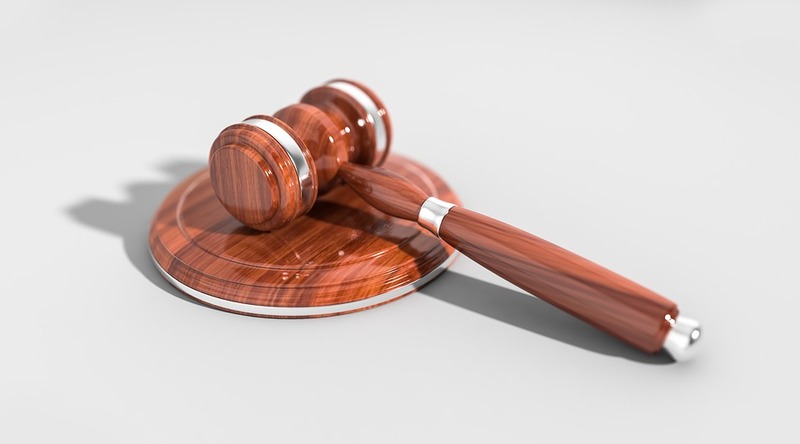 Palm scanners, on top of being able to take fingerprints and fit comfortably within current live scan systems, represent an investment in expanding legislative pushes toward palm prints, and the growth of an invaluable governmental database. 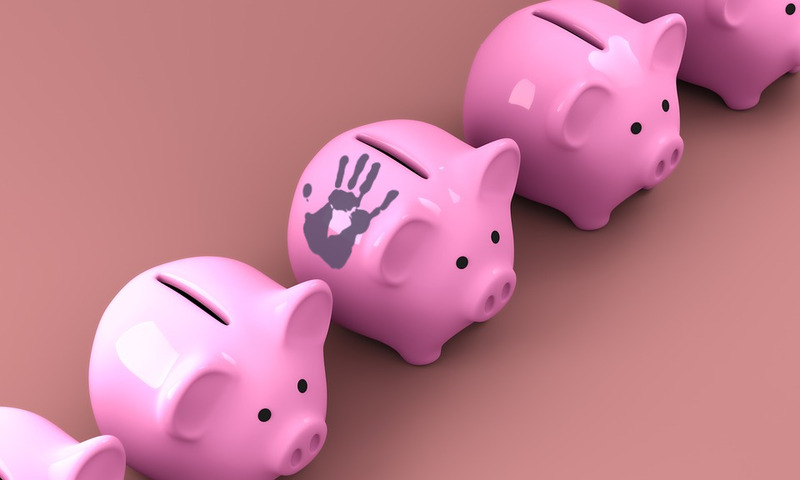 Palm scanning and matching technology has surged in popularity over the past decade, with more interest and funding being allocated toward criminal and civil applications with every passing year. In some states, palm submission is now required by law for criminal transactions, and the FBI’s Next Generation Identification System initiative includes latent palms right alongside latent fingerprints. Live scan solutions are a major investment for any agency, and selecting a system with the longevity and functionality to properly return on that investment is key. Palm scanning isn’t the wave of the future, it’s our dawning reality, and embracing it is key to not only contributing to a vital print archive, but to ensuring your system will still be able to do its job five, ten, even fifteen years down the line. Opting in now is the best way to save on the pain of replacement later. Much like snowflakes and blizzards, fingerprints and palms go hand in hand, and that’s the kind of handshake Mentalix can get behind.